The Rio Olympics, and NBC's coverage of them, have been neither the utter disaster that many feared, nor completely flawless. But until conditions force the network to reconsider its formula, there's little incentive to change its routine. With ratings down and considerable criticism leveled at the coverage -- particularly in the early going -- one might think that NBC would take a hard look at altering its approach. But that ignores how such complaints tend to resurface every two or four years, magnified now by the real-time sniping that happens via social media. The shifting media landscape also makes it more difficult to draw hard lessons from NBC's performance. Audience patterns, and the means of consuming TV, are in a state of flux, clouding the value of direct comparisons going back more than a few years. NBC is often accused of cheerleading for the Games, as opposed to covering them, because of the company's enormous investment in them. In that regard, the network deserves some credit for flipping into news mode, however uncomfortably, to report on swimmer Ryan Lochte's discredited account about being robbed at gunpoint along with three teammates. The scandal has added a strange coda as these Olympics wind down. Saturation Has Its Drawbacks: By any measure, the Olympics remain a dominating franchise. Last week, the Games averaged 28.2 million viewers in primetime on NBC, almost four times the combined audience for fellow broadcasters ABC, CBS, Fox and CW. That said, NBC's numbers are down compared to London in 2012 -- a sign not only of ratings being weighed down by sheer gravity amid an expanded roster of options, but also the tradeoff associated with scattering content across multiple networks and the web. NBC officials note that an increase in streaming and viewing on alternate channels somewhat offsets the viewership decline, lifting audience delivery by roughly 7%. But giving people more ways of watching contributes to lower ratings on its flagship network, and new metrics -- like the billions of "impressions" or "streaming minutes" generated -- still tend to sound as much like alibis as measurement breakthroughs. Related: Rio ratings are hurting; are streaming options eating into TV viewership? Sorry, But Live Doesn't Matter That Much: Much of the initial grousing about NBC focused on the overwhelming glut of commercial breaks, and the network's decision to delay showing some events until primetime. Both require a bit of amnesia about past coverage and, more significantly, the way the Olympics are packaged and consumed. Simply put, vast numbers of those who watch the Olympics don't approach them like a more traditional sporting event. Unlike football, viewers aren't necessarily well versed in beach volleyball strategy or what raises a springboard dive's degree of difficulty. TV executives have long since concluded that what the Olympics really are for most viewers is spectacle -- a human drama infused by the thrill of victory and agony of defeat, as "Wide World of Sports" famously put it. As such, delays aren't a huge drag on ratings -- and in some instances, probably even help in framing the "stories" and letting those who care about seeing Michael Phelps win another gold know that they need to tune in. As for the ads, anyone with a DVR knows the best way to watch is to do some delaying of your own, the better to zap through them. Complaints aside, others who want to watch will presumably muddle through what is, for NBC, ultimately the main point of the exercise. America Likes Watching America Winning: This might sound like a big "Duh," but it's worth remembering that U.S. Olympic ratings reliably spike when homegrown stars do well. Even an event like the women's hurdles became a huge deal, for example, after the U.S. achieved an unprecedented sweep Wednesday. In other words, Simone Biles and Phelps are worth every dime they'll earn in endorsements. Those results, it should be noted, are also completely out of NBC's control, another reason the delay assists in constructing the nightly lineup around such highlights. Acknowledging Other Countries Helps: Despite the gold in mining those "USA! USA!" chants, the Olympics become a richer viewing experience when NBC recognizes and embraces achievements by other athletes, especially underdogs. Yes, the heroics of Jamaican sprinter Usain Bolt have been dazzling. But some of the moments that really stood out showcased athletes who were happy to win any medal, such as host country Brazil's gymnasts Diego Hypolito and Arthur Mariano, who wept uncontrollably when they earned the silver and bronze in the floor exercise. 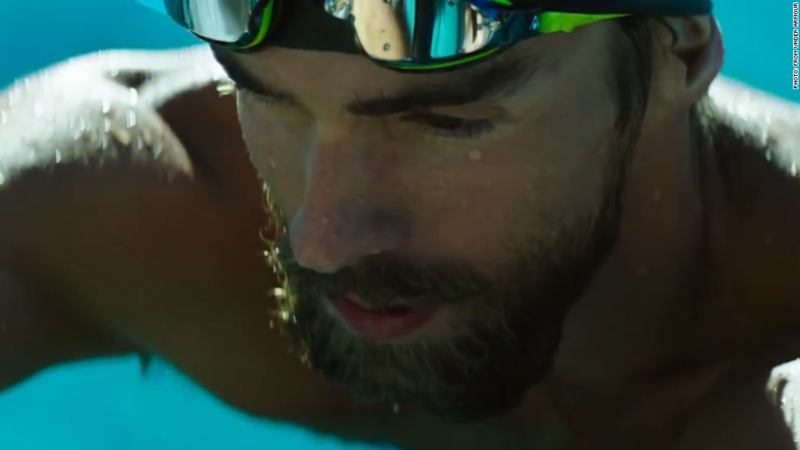 The Olympics are big business, both for TV and the athletes, many of whom are either pros (see USA basketball) or have already cashed in on endorsements, like Phelps. Given that, seeing the pure jubilation of athletes who still feel like amateurs is a welcome reminder of the event's historic ideal about athletes across the globe competing for love of country and sport. Why Mess With (Even Diminished) Success? NBC will obviously take inventory after the Olympics, and begin contemplating what can be done better in 2018, 2020 and beyond. Nevertheless, even a diminished Olympics remains a huge attraction, one NBC has every reason to cultivate. Two years ago, the network secured TV rights to six more Games, through 2032, for a staggering $7.75 billion. "Our long-term commitment to and investment in the Olympic Movement are a reflection of our belief in the future of broadcast television," Brian Roberts, the CEO of NBC parent Comcast, said at the time. It's anyone's guess what TV will look like three years from now, much less 16, and the deal has various contingencies built into it. What seems clear, though, is that NBC won't make significant changes until it has to -- just as second-guessing its coverage, and performance, is one game that's sure to continue.